Perfect winter snacks in Berlin. Finding somewhere to eat over a European winter can be difficult. With the streets getting colder, wetter, darker and quieter cafes, restaurants and bars become bursting and full to the brim. Whether you’re seeking refuge from the elements or searching for a warm place to retire hunger pains or quench your thirst, these snacks will guarantee you all of the above – and maybe more. Croissanterie is a French institution in Berlin. In the heart of Neukölln this cheap and cheerful bakery breaks with the usual night owl business hours of the area. 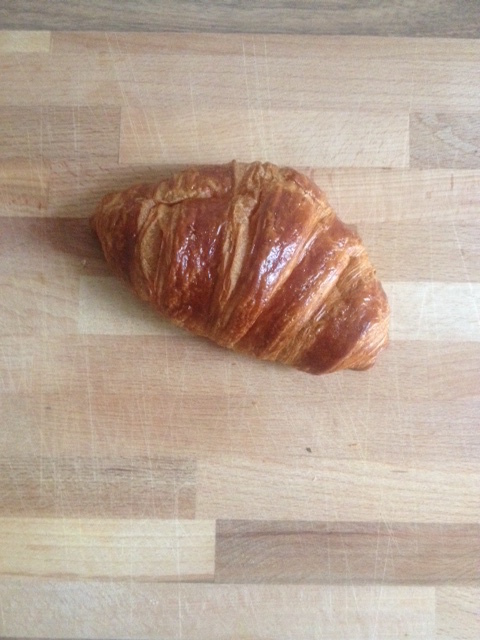 Open from 7am to 3pm daily, you’ve got to get in early to sample one (or many) of these croissants. Searching for a seat can be tough even in the middle of summer where there is always a crowd but it’s easy to pop in for a light, buttery and fluffy mitnehmen croissant before starting your day. This pop-up run by Natas is a favourite around Berlin. 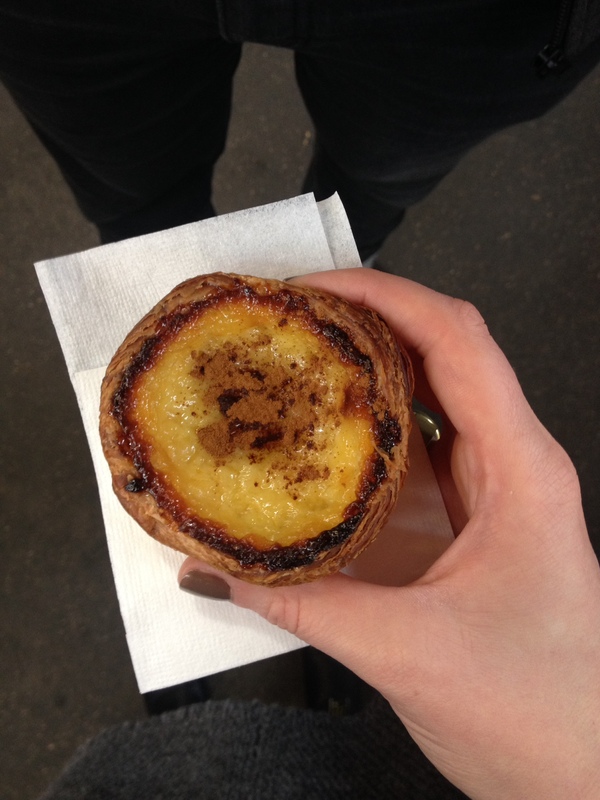 Setting up shop at Markthalle Neun’s breakfast market and around town, Natas makes the sweet, custard delight like no one else in the city. Bite size as well as regular tarts is available with the quintessential cinnamon dusting. The pastry is light and crisp and the custard filling is well set but simply melts in your mouth. The best part about these tarts is they can be delivered right to your door within the hour, which means on a cold and blustery day you don’t even have to leave the house! There really isn’t anything better than a warm bowl of soup on a cold day. Aunt Benny hidden in the back streets of Friedrichschain is a wonderful homely, cosy hideout for just an occasion. 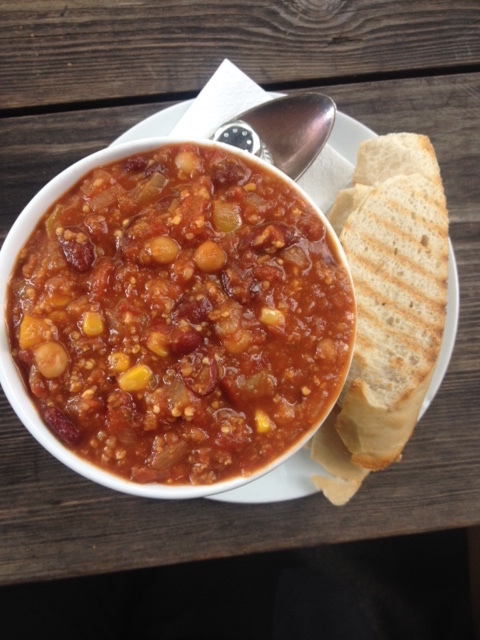 Serving daily soup specials in a generous mug or bowl, the vegan chilli and the curried cauliflower soups are thick, balanced and healthy and the chicken mulligatawny is out of this world. Mexican food is not done well in Berlin. Each dish should be fresh and lavished in chilli, lime and coriander. Fortunately, Maria Bonita has it right. 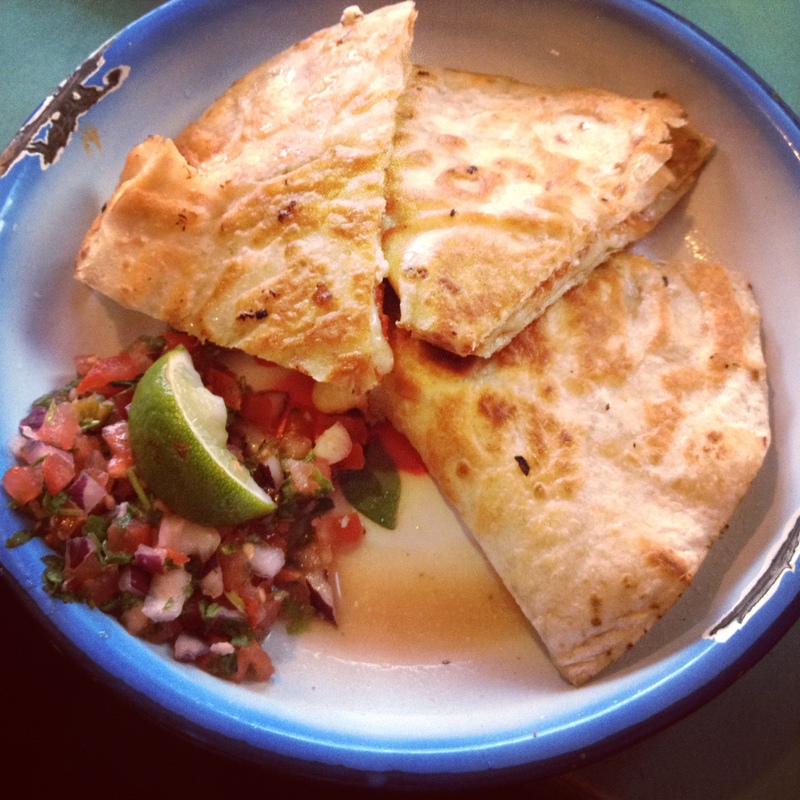 Their quesadilla served with chunky beef, pulled pork, grilled chicken or as a vegetarian dish is divine. Served with (or without) cheese and a small side of salsa plus plenty of chilli sauce both homemade and the Tabasco variety, it proves to be a great daily snack or entrée to your burrito or taco. The who’s who of the chicken world in Berlin; RISA with three locations around the city is your one-stop-shop for everything chicken. Famous for their Neukölln char-grill-rotisserie feeding late night hunger pains, this Turkish Halal chicken is signature and purely phenomenal. The skin is crisp and salty with a hint of charring, perfectly encasing the fleshy, juicy chicken inside. 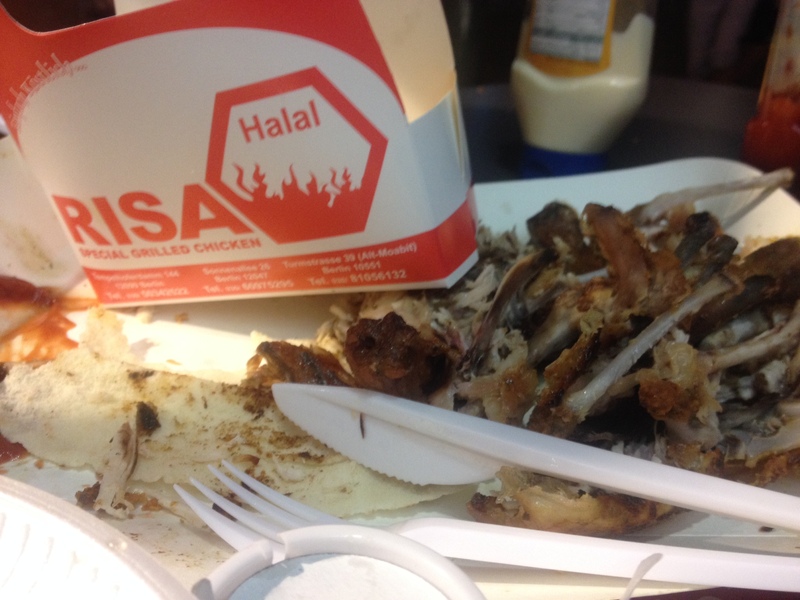 Served as quarters, halves and full chickens with drumsticks, wings, chicken ‘bits’ as well as burgers all your chicken needs can be found at RISA. 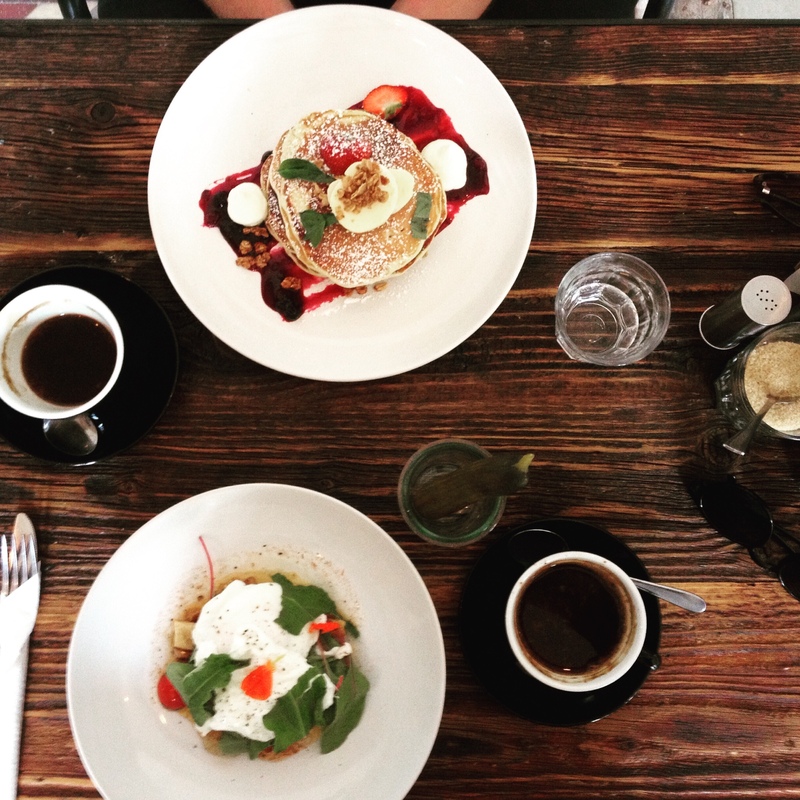 The popular, rustic café in the north end of Mitte is a bustling hub for hungry souls. Get in early on weekends and late afternoons as a line is frequently out the door. Well worth the wait though is the delightfully fresh menu and most importantly the wholesome, buttermilk pancakes served with berry-maple syrup, citrus butter and banana. The three stack is well sized, a large portion but not so big that it’s intimidating. Dense, but fluffy these buttermilk cakes are a delight on a cold winter day surrounded by the warm, country-style atmosphere at Distrikt. I like your review style, Global Rambler. Very authentic :). Would love to feature your reviews in our weekly curated email digest that goes out to thousands of people.